Uh-oh. 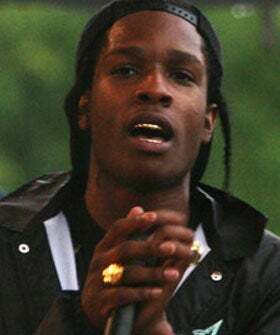 Rapper A$AP Rocky has been taken to the slammer for playing a bit of fisty-cuffs with the paps. Following a verbal dispute in downtown New York, Rakim Mayers of A$AP Mob got busted after taking matters in to his own hands— literally— with 2 onlookers who were snapping away. But this time they weren't even proper paps, merely civilians probably trying to score a "like" on Instagram. (Note to selves: take caution when brandishing our beloved iPhones.) One fully-fledged fight, a covering of cuts and bruises, and a banged up rapper later... will celebs ever learn their lesson? Someone get him an attorney, A$AP.